I get such a kick out of road signs. I grew up with the habit of reading anything with words on it (including the backs of cereal boxes at breakfast). So now it’s hard to stop. And sometimes, especially while traveling, the habit leads to laughs. 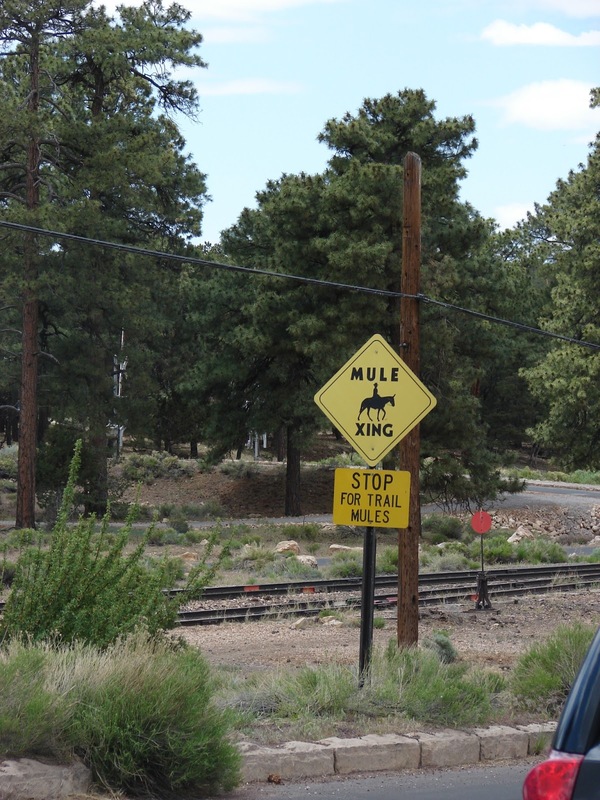 For example: where else but the Grand Canyon will you see a “Mule Crossing” sign? Let alone one that gives them the traffic right-of-way? I liked this one in Bryce Canyon, Utah. 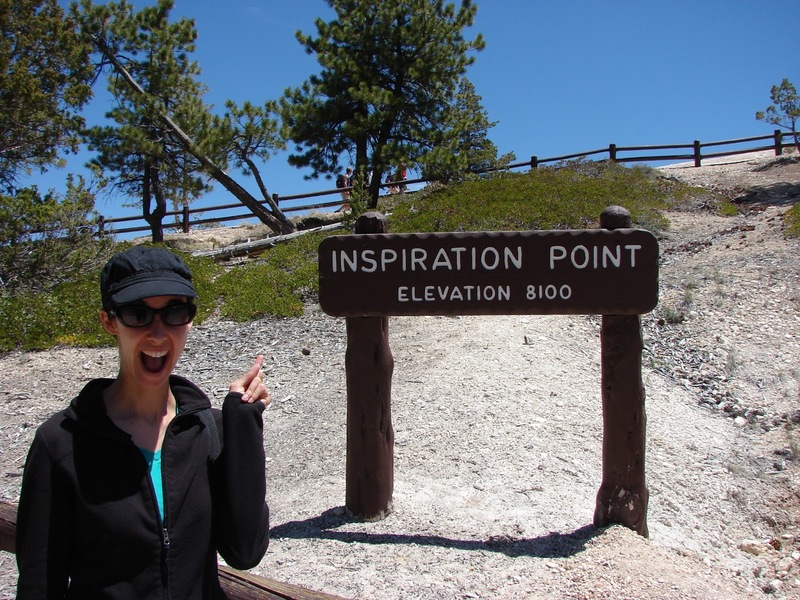 I thought maybe standing close to it would be good for my creative juices. 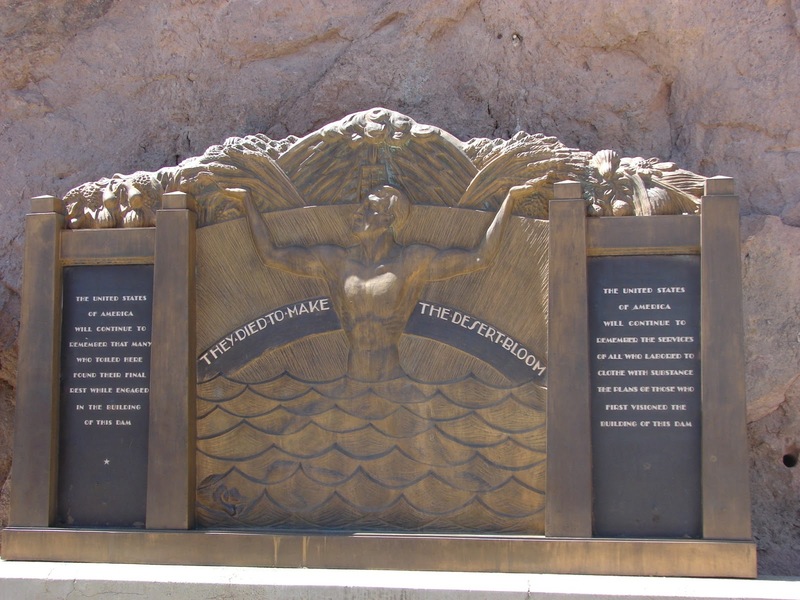 This one, at Hoover Dam in Nevada, was especially beautiful. I didn’t expect to find a giant lump of concrete so interesting, but it takes on a different meaning when you realize that this giant dam redeemed a desert wasteland. Because of Hoover Dam, arid stretches of Arizona, Nevada, and southern California are now fertile and life-supporting. And more than a few workers during the Great Depression gave their lives to make it happen. 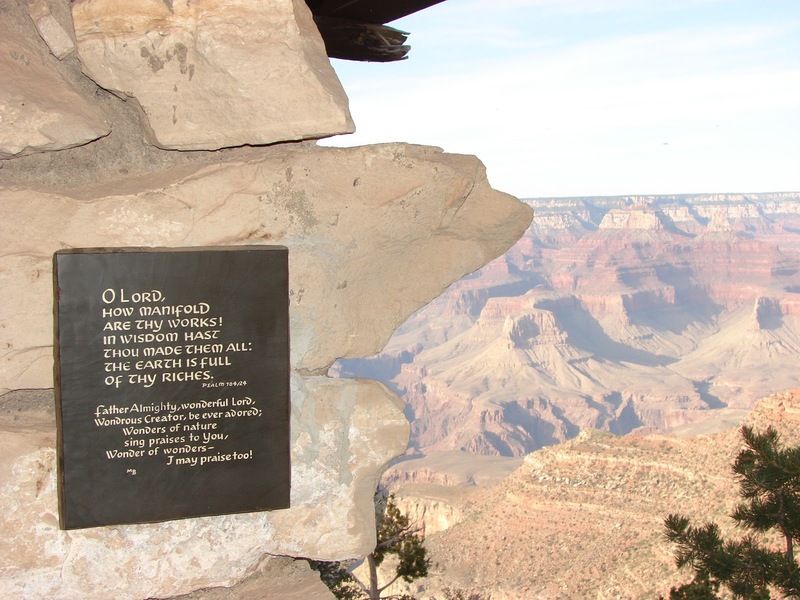 Some wise and artistic person decided to complement the beauty of the Grand Canyon with the beautiful and praise-giving words of the Psalms (I found these plaques scattered at various viewpoints along the South Rim). And the moral of the story is: do not–do NOT–attempt to buy gas in Death Valley. Seen any wise, wacky, or hilarious road signs lately? 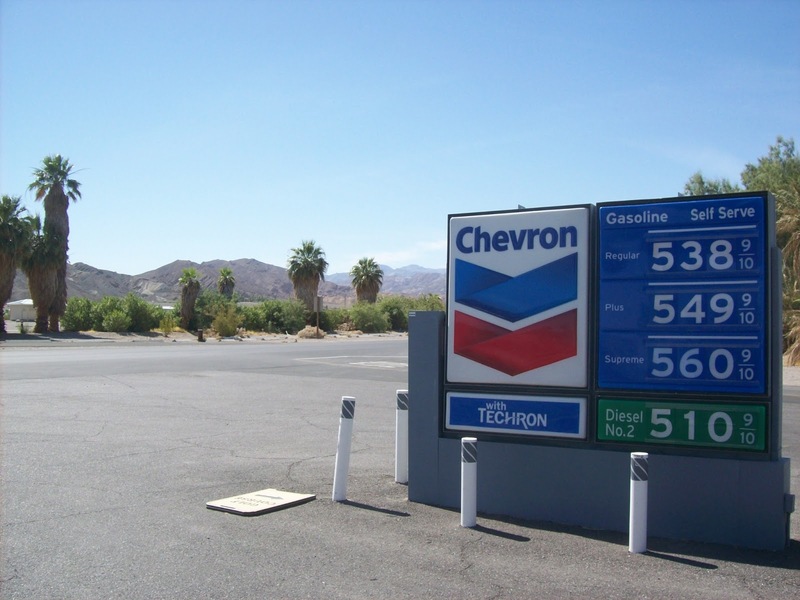 When I was last in Death Valley, we drove to Beatty Nevada to get petrol. It was a good $1.50 less! Weird Al posted some pictures on twitter with him holding up gramatical corrections to road signs… hilarious! That’s awesome! 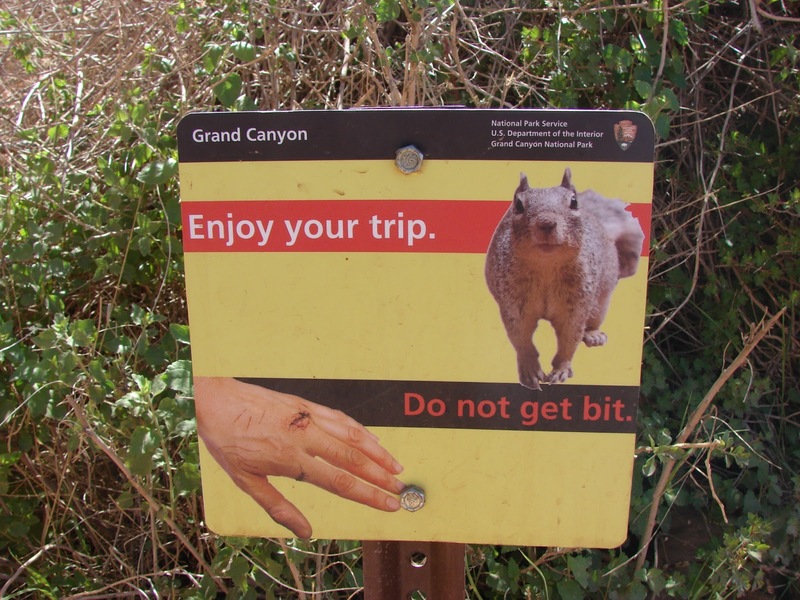 I should totally start doing that when I travel. Just carry some paper and Sharpies around in my purse wherever I go.